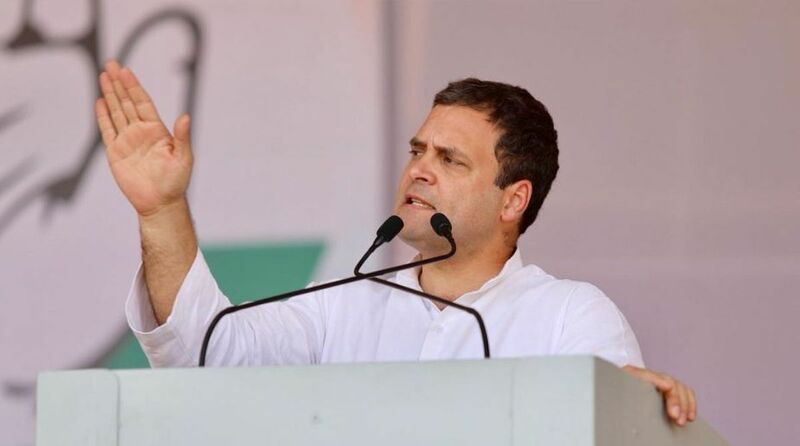 As the Union Cabinet approved MSP worth 50 per cent over cost of production for summer-sown crops, Congress President Rahul Gandhi indicated that the Karnataka budget, which will be presented on Thursday, will waive farm loans and said it will be a “beacon of hope for farmers”. “On the eve of the Karnataka Budget, I’m confident our Congress-JDS coalition government will act on our commitment to waive farmer loans and to make farming more profitable,” said Gandhi on Twitter on Wednesday. “This budget is an opportunity for our government to make Karnataka a beacon of hope for farmers all across India,” he added. The Union Cabinet Committee on Economic Affairs on Wednesday approved Minimum Support Price (MSP) for summer-sown crops for the year 2018-19, which will provide farmers a profit of 50 per cent or more over the cost of production. Addressing the media, Union Minister Rajnath Singh said the cabinet had taken the “historic” decision to provide relief to distressed farmers as it would have “positive impact” on the economy. He said that the Commission of Agricultural Costs and Production (CACP) had fixed input cost for major monsoon crop paddy at Rs 1,166 per quintal and the government had added 50 per cent profit, which would make the MSP Rs 1,750 per quintal this year — a steep increase of Rs 200 from Rs 1,550 last year.